When you think about it, Burger King really needs to redo their receipt. Burger King fries right now are like the Blackberry OS. By mindshare McDonald’s would be like the Apple iOS platform. Wendy’s would equate to Palm with WebOS and Microsoft finally with Windows Phone 7. Now that Wendy’s has finally made some better fries, that leaves Burger King. Burger King’s french fry receipt has been the same for a long time now and with all the others, it is now time for them to innovate or get left behind lol. So this would best describe Blackberry right now. And before anyone says anything, I haven’t forgotten Android. 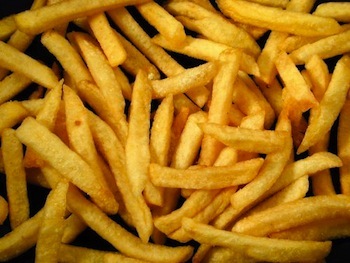 Android would be similar to any other place, diner, or restaurant that serves french fries. There are many different types, sizes, and ways it is made. Some are high end and and taste great, some are only mediocre, and then there are some that are just nasty.